In April, 2003, I left my job in Dublin and began my life as a digital nomad. At the time I didn’t know that I had just become a digital nomad, or that I would be doing it for ten years. My previous employment record was three years and three months, and that was three years too long. I was just relieved to be leaving behind what was a year of boring office work. I was now doing a job I enjoyed, which I could do from anywhere in the world. Today I am in Penang, Malaysia, filled with gratitude that I have been able to create this life. I’ve been reflecting on my journey, and how the landscape of being a digital nomad and travel blogger has changed over the years. I began blogging long after I was working online, so this is a good time to fill in some of the back story. My life as an expat began in 1999 when I moved to London on a two year working holiday visa. I was still figuring out what to do with my life at that point, so I did temp work while travelling around the UK and Europe between jobs. Working abroad gave me fresh perspective on life and new ideas on what I wanted to do work wise. It was while I was in London that I realised that I had a passion for the internet. I also discovered that I have the travel bug something fierce. After my time in London I went back to Australia, but it wasn’t long before the desire to live abroad returned. I worked for a year, did a web design course, then applied for a working holiday visa to Ireland. I arrived in Dublin in 2002 when the Celtic tiger was going through a downturn, so jobs were not as plentiful as during the boom years. With only limited savings I maxed out my credit card with a laptop purchase in my first week in Dublin. I managed to stay employed during those 12 months, finding casual work that lasted from 1 week to 4 months. During this year I continued to learn about web design, SEO, and affiliate marketing in the evenings, and the experience of working in mind-numbing jobs made me more determined than ever to work for myself. All of my earnings went into debt repayments and savings, and most of my time outside of work was spent on my business. At one point the cold, rainy weather and boring office jobs nearly sent me back home again, but I had no return ticket, so I had to ride it out. I look back on those days though with nostalgia as it was one of the most formative years of my life. April 25, 2003, was the day I began working for myself full-time. I was only making about $100 a month in affiliate sales at that point so I wasn’t exactly ready to begin, but my working visa in Ireland had just expired so I didn’t have a choice. I had enough savings to last the rest of the year, and I was fortunate to be staying with my then girlfriend in Switzerland. While Switzerland isn’t the first place you would go to start a business on a shoestring, cooking at home made the cost of living comparable to Australia and Ireland at the time. I had yet to discover the joys of living in Southeast Asia, so I didn’t know about currency arbitrage. Switzerland turned out to be a excellent introduction to living a location independent lifestyle. While I worked long hours, I still took time out in the day to go for a swim in the lake and walks in countryside. By the end of the year I was making enough to live on without spending my savings. When I started out I got all my information online from webmaster and marketing forums. They were valuable resources to help me grow my business, but there wasn’t much talk about lifestyle. A lot of the guys I knew were working from home but not travelling. For years I went about my travels without meeting other working travellers. There were, of course, many others doing the same thing but I had yet to discover this world, and I wasn’t actively seeking it anyway. This began to change in 2007, especially after The 4-Hour Workweek was released. This book brought the concept of running a business while travelling to the mainstream. There are now countless sites dedicated to the subject of working remotely and the location independent lifestyle. I’ve found a forum where people talk business and travel, with members who have been doing this since the 1990’s. With the rise of social media, travel blogging became more social as well, with a vibrant community of travel bloggers forming around Facebook and Twitter. I began Nomadic Notes as a way to interact with other travel bloggers that were becoming more prominent in the travel sphere, and as non-business online home for others to find me. Seeing that we are travellers it was only a matter of time before I started meeting these online friends in real life. 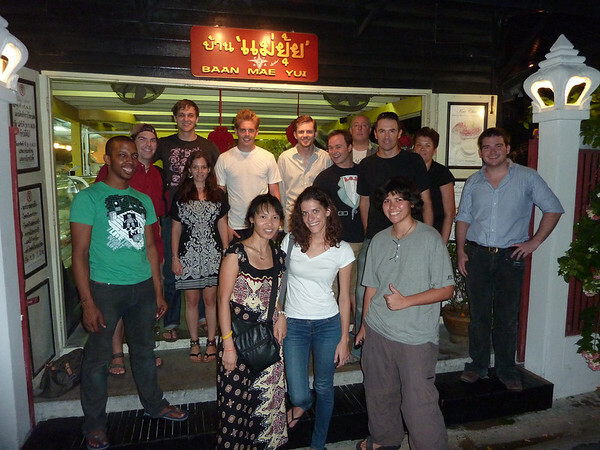 I went to my first travel meet up in Bangkok in February, 2010, which was fittingly called the unconventional meetup. The event was hosted by Chris Guillebeau, and got to meet some familiar online faces. Over the last few years there has been a growing number of conferences, meet ups, organisations, summits, and unconventions catering for travel bloggers, online business entrepreneurs, and lifestyle designers. It has now got to the point where I cross paths with some of my online friends several times a year. Of course you don’t need a conference to have a meet up. I gravitated towards places like Chiang Mai and Saigon when I was not travelling, partly to be around fellow bloggers. Over the last ten years of being of being location independent, I have switched between having no fixed address, to keeping a home base in Melbourne, and back to no fixed address. In Melbourne I rented a room in a share house for a number of years, sometimes sub-renting when I was away for longer stretches. Every time I returned I felt sure I wanted to live abroad again. I left Melbourne again in September 2010 and I’ve been of no permanent abode ever since. 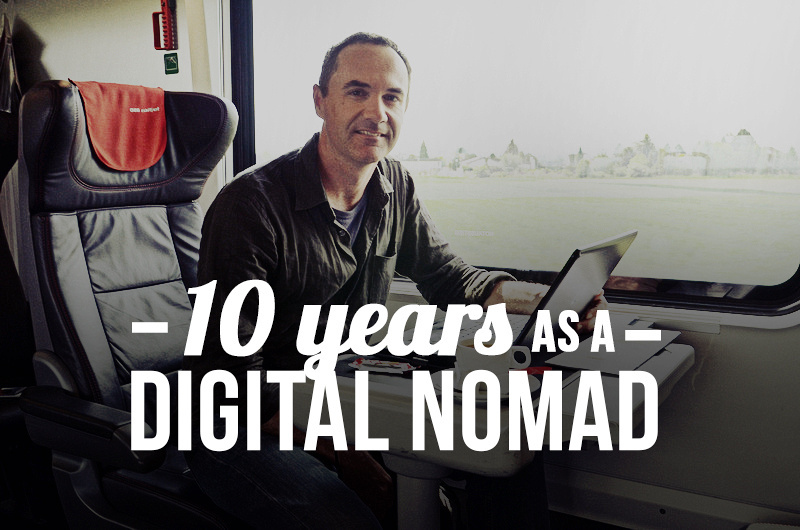 In the first five years of my digital nomadism I spent half of my time in Europe. In the last five years my focus has shifted to Asia, and if I was to get a home base again it would be in Southeast Asia. Aren’t you tired of travelling? I often get asked, “aren’t you tired of travelling?” Sometimes I do get tired, but when that happens I will slow down and stay in one place for a while, such as in Playa del Carmen, Chiang Mai, and Ho Chi Minh City. What I found more tiring was getting up at 6am everyday and commuting for a hour to a job I didn’t like. My current lifestyle is easy in comparison. I couldn’t have imagined what an incredible life this would be when I started out ten years ago. Occasionally I think that it might all end and I would have to go back to an office. I had a couple of lean years and I nearly did, so I have always tried to make the most of my travel opportunities while I can. Looking forward, I can’t imagine a life that doesn’t revolve around travel, but it might be a lot slower with fewer destinations each year. For now my heart and work community is set in Southeast Asia, so I will continue to use this region as a base and go on shorter, more regular trips from there. I will continue to work on online projects, as well as resurrecting some offline business ideas, such as my property rental business. As for Nomadic Notes, this site will still be based on my travels, but I will be featuring more long term travel tips, digital nomad resources, and of course, cafes around the world. I’ve made so many friends through this site and it has also been a doorway to other business opportunities so I will be continuing to blog here. First, great post with wonderful insights. This sort of stuff just gets me excited about the future and how things can develop over time. Second… how did I not know you were from Dublin? Lord, my old man memory is just fading out and away. Wow, what a great achievement! Congrats! I can only dream of hitting the 10-year mark one day, as we’re starting a location independent business and trying to grow a decent income. A story like this sure is a great inspiration. Great article mate, looking forward to finally catching up at some point this year! Wow! I had no idea you’d been doing this for THAT long. Quite an achievement! I think sometimes I forget how windy the path to success is, so articles like this are a great reality check. Happy 10 years and here’s to many more. Congratulations James on your 10th year of becoming location independent. You’re such an inspiration for someone like me who’s just starting out. Great article, congratulation. Have a nice time in Penang and enjoy the cuisine! We returned from there 5 weeks ago. Greetings. Congratulations on your ten year anniversary. This blog post was inspirational. Thank you for sharing the challenges you faced and how you made it work. Although I didn’t continue travelling after my year of travel, I do know that you sharing your wisdom is one of the things that helped me turn my five months of travel into a year. Best wishes for your next ten years! What a great story! I’m so glad to have had the opportunity to meet you during the most recent year of your travels. It’s funny how this lifestyle leads us to say “see you again soon” to people half a world away. See you again soon, James. Thanks Mary Jo, see you next month! “Aren’t you tired of NOT traveling?” is now my go-to response to people who think their lives of early morning alarm clock cacophony is somehow idyllic and magical. 10 years…is a long time! I say…keep on traveling. Congratulations!! What an amazing accomplishment – definitely something to be hugely proud of. 🙂 It was great to read your back story, to know where you came from and how and why you’ve stuck with this lifestyle. It sounds like it suits you perfectly. Hope you have many more great years doing what you love. Thanks James for the round up, I always enjoy reading your posts. I’m approaching 3 years now even though my journey has been quite different to most nomads. I just got back from KK in Borneo. I was there just a few days, as always first thing I’m doing is checking the place out for its viability for people like us.. Huge thumbs up one of the best I have seen. email if you want more info.. When you get back to Thailand you are welcome to come crash in Mae Sai for a week or so, great internet and mountain views, good coffee also. Thanks Neale! In Penang I am just in a guest house and I haven’t tried looking for an apartment. This is a place I would like to spend for a month in an apartment, so that might be a future project. I went to Kota Kinabalu in 2010 and loved it. There and Kuching I really enjoyed and could see myself spending more time in. Now Mae Sai is a place I haven’t been to so I will let you know the next time I find myself in Northern Thailand. I started blogging way later in my Digital Nomad life ( launched my blog only few months ago)… and i’m having quite a lot of fun sharing my life as it is ‘Now’ … but somehow your journey motivates me to share a little more of my past too ! So may be someday, sooner than later, i’ll finally get to do so as well! Thanks Carou, hope we cross paths too! Congratulations on your 10 years! Inspiring stuff. Im in chiang Mai now (after staying in Chiang Rai for a while). Been checking out some of those coffee shops you posted about. Congratulations, Jame!! I heard part of this story when we were in the land of the Red Couch, but nice to see it all together and see the flow. I love that you never take any of what you do and this lifestyle for granted. Look forward to catching up in person soon in Toronto! Definitely inspiring 🙂 Was great to meet you at the very beginning of my journey as a digital nomad. See ya next week! Yay, see you next week! Its comforting to read that you’ve kept this lifestyle going for 10years. We are now one year into our digital nomad lifestyle and we don’t want it to end! Congratulations on your anniversary. It’s great to see people accomplishing their goals and showing it can be done if you only put a little effort in. 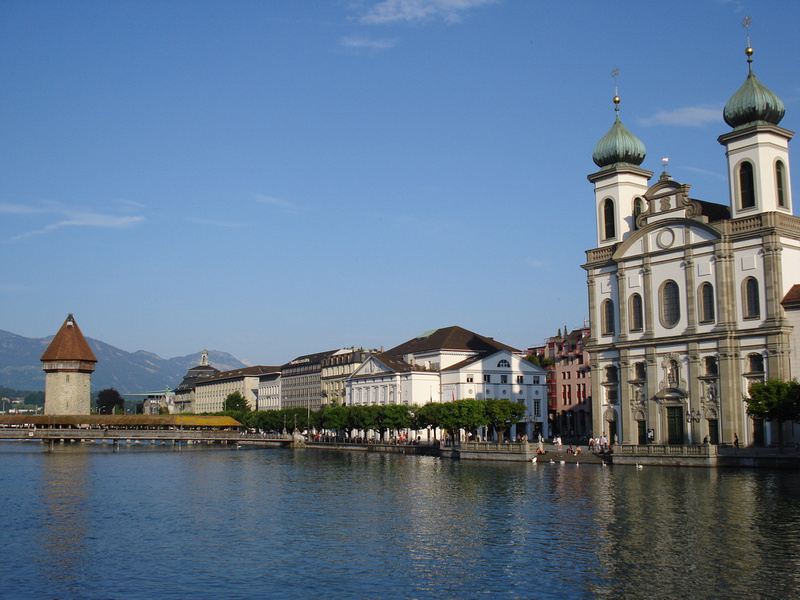 And to start in Switzerland – hardly a cheap place – shows that even more. It’s interesting that you get asked “Are you tired of traveling?” What the asker of the question doesn’t understand is that travel is living. It doesn’t have to be about racing from one tourist site to the next every day on a two-week holiday for a job you aren’t in a rush to return to. When you spend a long time away from “home”, you form everyday habits and start living rather than touring. Hi, Jeams! I appreciate your work so much! Very interesting the report about all the sites where is possible to meet a bar with wi-fi connection and the images of this place. What about the hotel or the houses for rent? I wonder how does the income for your travels come from. What’s your main online business? Hi Sammi, thanks for that! Glad I can inspire in some way. Wow you are my hero! We have only been living this life for 14 months but we hope to make it permanent like you have. Reading stories like yours gives me faith that maybe we will be able to achieve our dream life. So thank you for inspiring others who dream of living this life. I love your blog. I’m still learning affiliate marketing and internet marketing after reading the 4 hour work week. That book, given by my brother , was probably the best gift I have ever received because it showed me that I wasnt the only one who thought 9-5 is crazy. And now your blog continues to remind me that I need to get out there and live my dream, or fail trying haha. Congrats on making it so long. I love your answer to the ‘are you tired’ question too haha. Thanks Ron, and good luck on your journey! I hope we have a chance to meet up again soon. Thanks John, look forward to seeing you again soon! Love that old meetup photo. Interesting to see how far you’ve all come since then. I also didn’t realize you’ve been doing this for 10 years! Great post, thanks for writing it. I would like to see a “my daily routine” post, or a summary of how you are able to build and maintain a business for so long. Also, you mentioned that you own 2 rental properties in Australia. You must be making big money to pull that feat off! So, any advice about how other digital nomads can use property to build a nest egg for themselves? I am 29 with some money in the bank, and some money coming in but no bank would let me borrow money to buy property. I would like to rent it out and get a tenant to pay off my investment property and then move in at 50-55 when I am ready to retire. Also 10 years of traveling, does that mean 10 years since your last serious relationship? Hope I am not being to noisy, just as someone who wants to have staying power like you have I am curious, that’s all! Cheers James. Thanks for sharing this history and backstory. Congrats on the 10 year anniversary. I am curious, though, why you pick Saigon as one of your go to bases in SE Asia, over Hanoi? I am looking to pick a home base later this year, a place that we can call “home” and travel from. Hanoi is in the running, but I am not a fan of Saigon, so I am just curious to hear your thoughts. Congrats again! Thanks Amber! I last visited Hanoi in 2005 and I don’t remember much about it. For me HCMC has a more international feel and there are more online entrepreneurs based there. 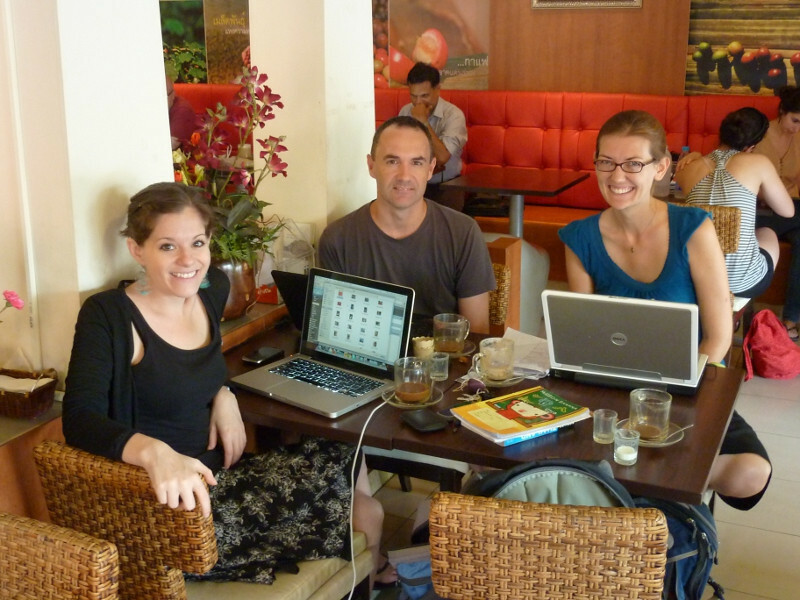 Check out this article on bootstrapping in Saigon. Incredible and look forward to morning coffee somewhere else at some point in the not too distant future. This is the dream, doing what you want from anywhere aka being free. Enjoy the life you’ve made for yourself, good sir. Wow, congrats! It’s really interesting to hear from somebody who has been doing it for so long. I was always wondering if many of the people who had internet businesses back in the early 00’s had been taking the advantage of the ability to work from anywhere. Digital Nomadism is obviously much more mainstream now, which I am glad of – Otherwise I may never have been inspired to do it myself. Nobody I know from ‘real life’ is doing it, only people we originally met online. But It is definitely a culture that is really coming into its own. It is like a community of really talented and open minded people who are spread across the globe, still unknown to most.. I find it fascinating. Just wanted to say this is in incredible website having just stumbled upon it. I’m about to start my own journey after getting sick of the rat race. I am by no means travel savvy and to find such a resource was a massive help. Looks like I’ve got plenty of reading to do here. It’s awesome you’ve been doing this for 10 years! I’m just now at 39 gearing up for this sort of wandering life, very exciting….and scary.